Sloanbook: Utah Blogger Meet Up! 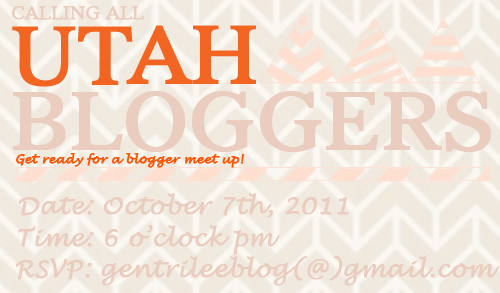 Today Gentri Lee, Kelsey, and I are excited to all announce a blogger meet up in Utah! We will be having a pot luck dinner so please bring a dish to share! You can also bring a dessert if you'd like! The more the merrier! All I can say is that we are pretty awesome girls, haha, so you should probably want to attend. But we will be having dinner/desserts and just hanging out. You know, having fun! Where is this shindig at? All I can say is that we are pretty sure it will be either in Provo or Orem :) We will not announce the exact location on any of our blogs but you can find out more when you RSVP to Gentri Lee. Her email address is gentrileeblog@gmail.com ! 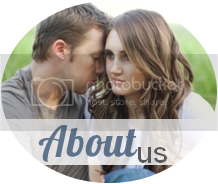 Here is a super sweet button I made for you to put on your blog to help spread the word and to tell your friends that you are attending! Yaaaay! I'm excited! My inlaws will be in town, so I don't think I'll be able to come. :( But I'll let you know if plans change. I am so excited - I am so sorry i have been out of comission and not been able to help with anything, but if you gals need help, PLEASE let me know! please! I'm so happy I live in Utah so I can attend this!! Cannot wait; it's going to be so wonderful. Can't wait to meet you wonderful girls in person!! PS: I mentioned it in my new blog post as well. I wish UTAH wasn't like really far away because you know I'd be there in a hot second if it wasn't. Happy Tuesday! weren't you sad about the Y this past weekend...boo! Oh my gosh, this sounds SO fun! I TOTALLY want to! K I am definitely going to RSVP to Gentri! Wahoo! I'm so excited! ah! i am going to be in vegas otherwise ya i would be there in a flash! my husband teaches english, such a romantic right? ha ha. he is going to byu right now for his masters in educational admin- he's excited! Oh I would have enjoyed that! Too bad I live too far away! Have a great time! I am so jealous! I would be there in a heartbeat if I still lived in AZ! i'm totally going to be there! :) can't wait! So I will be there! Can you just email me the address when you get a chance? :) So excited! YAY! Ooh I would so love to come to this!!! So fun I haven't met a ton of utah bloggers yet so this will be awesome! I'LL BE THERE. Such an awesome idea, thanks for hosting it!